Essays are ⅓ of Paper 1 and 100% of Paper 2. So writing a good essay is a pretty important skill to have for the HSC. Unfortunately, English is a subject that not many of us can say we’re good at – I myself am more of an Economics/Software kid, and English has never been my strength. But between half-yearlies and the HSC, I’ve learnt some key strategies that took me from my teacher saying “if you work really really hard, you might be able to get a Band 6” to me getting one of the highest marks in my cohort in the HSC. I present to you: a comprehensive guide on how to write a good essay, and how to take that into the exam. And then Jake’s article Dealing with English (for Maths Students) gave the brilliant idea of essay plans. Memorise 75% of your essay in the plan, and adapt the plan to whatever question you get. This is the section that basically makes half your grade, because the marker gets their first impression of your writing abilities from your introduction. My teacher, who’s a senior marker, recommends having most/all of these in your introduction: thesis, author name, date published, text name, text type, context, purpose, audience, key themes, impact. This is my thesis, usually some derivative of the question or a unique thesis if I feel up to it; this is an optional sentence elaborating on my thesis if there’s a “yes, but” component, or if I couldn’t express my whole thesis in a grammatically correct way. This sentence introduces my first text, with name, title, year, and general summary of how it relates to the thesis. This sentence introduces my second text, see format in last sentence. This is a third text if I’m a baller. This is a sentence that links all two/three texts in terms of purpose, technique, effect on responder, or whatever. This sentence summarises my thesis, occasionally omitted if it’s too repetitive. Discoveries often result in a renewed perception of ourselves; while they don’t have to challenge an individual, the impact of a discovery is more meaningful and powerful if it confronts the individual. In Robert Gray’s didactic poem ‘Flames and Dangling Wire’ (FDW), the responder is startled by depictions of a post-apocalyptic wasteland, and is subsequently driven to change their views on humanity’s impact on modern society. Similarly, the character Simon James in Richard Ayoade’s The Double (2013) is confronted with his assumedly alter-ego and as a result realises his own identity and sense of self. Gray as the persona in his autobiographical poem, ‘Diptych’, on the other hand, intentionally rediscovers his past, and merely finds acceptance of his family. All these discoveries challenges the individual and encouraged new views of themselves, but the impact of their discoveries vary in strength. 5 sentences, and done. They’re long, but they give just enough information to outline your key arguments. For the essay plan: you would only memorise your text introduction sentences, with a general enough description that can be applied to most questions. My teacher ran the numbers – with A-range responses, they’re usually 8 or more written pages (which is about 1100-1300 words) and use 10-15 quotes per paragraph. You’re probably thinking “how do you fit 15 quotes in a paragraph AND get your analysis done? Simple. Use shorter quotes. They’re easier to remember and you can cover a lot of different parts of the text, creating a more holistic view. Hellish imagery in “always burning”, “cars like skulls”, and “the devils poke about through our souls” evokes a definitively bleak setting which leaves the responder wondering at the cause of the destruction. One sentence covers 3 quotes, 12 words in total. That doesn’t sound so bad, does it? Go through your essay and count how many quotes you have in each paragraph. Are there any quotes that are one whole sentence or longer? Can you break them up or shorten them (using ellipses can help!)? Are there more quotes you can drag in from other parts of the text that also support what you’re saying? Next: analysis. To make my analysis clearer, I use a cause and effect structure, which might stretch over multiple paragraphs. 1. What does the author do in the beginning? Sets the scene, establishes a norm, a problem perhaps? 2. What is this supposed to achieve for the reader? Are we supposed to be shocked at the image, proud of what’s happening, confused by what they’re saying? 3. What does the author do next, using our reactions? Do they subvert our expectations, carry it to a detailed and horrifying end, or maybe direct our hatred towards this one character? 5. Finally, how does the author end it off? Was there any change from beginning to end? How did they do that? 6. What’s the final impression that we as the readers are left with? Is it a call to action, perhaps, or nihilistically comforting where everything is hopeless but at least we have each other, or maybe something else entirely. And in answering those questions, you’ve got yourself three paragraphs, covering purpose, audience, impact, and analysis. Your essay might have “expression needs refinement” written on it – that just means you need to make it sound fancier. Think about using more sophisticated vocabulary, restructuring your sentences to be more complex, making it so that the marker doesn’t get an “awkward sentence” vibe from it (easier said than done!). Ask your teacher how you can make your sentences better (or alternatively, ask us on the ATAR Notes Forums!). So for Discovery and one of the Modules, they’ll ask you for one or more related texts. One of the biggest tips I’ve seen for what to pick is to go with a short film or short story – they’re quick to view, more obscure (new content in the marker’s mind! ), and you can afford to have more than one related text prepared. One of the downsides to this, however, is that existing analysis for these texts are less extensive, so you’ll be doing your own analysis, and might need to tunnel through the YouTube comments section for the odd bit of inspiration. But in all honesty? It’s worth it. What if they ask for two related texts and I only have one? Use the one you prepared for the other modules. You know the analysis back to front, and all you have to do is tie it in to your other themes – also note that you aren’t expected to use both related texts equally, unless it says “make detailed reference to”, so just throw in 3 quotes and a bit of analysis and boom. You’ve satisfied the requirements. For the essay plan: take one of the best essays you have, and arrange it into dot point form, with sub-points for each quote, analysis, etc. This will help with visualising your argument as a flow of main points and supporting points and evidence. Delete the topic and concluding sentences – you will develop those during the exam to fit your question and thesis. Memorise the rest. Yes, all of it. But the upside is you won’t have to memorise anything else besides that, just be a little open-minded. We’ve reached the end of the hard stuff, heck yeah. Despite how repetitive it might sound, please do not decide to just “drop” the conclusion for the sake of time. You’d rather shave a few sentences off your body paragraphs than skip the conclusion. The conclusion is the “what’s the point” section. If you can’t imagine yourself dropping the microphone at the end of it, it’s not doing its job properly. This sentence is a summary of my thesis, with a pretty transition word at the beginning (I tend towards As such, Overall, or Thus). This summarises how my first text relates to the thesis, as explained in my body paragraphs. This summarises my second text, and so on. This is an optional summary sentence linking all the texts again. This is an imperative philosophical ending, usually about how bad things help us grow as a person, bad people will eventually get retribution, or how with enough perseverance society will start to change for the better. Although both confronting and intentional discoveries have their ability to change how we view ourselves and our actions, the discoveries that challenge us tend to be more impactful on the individual. Through FDW, Gray urges the responder to consider the impact of their actions on society’s future. Simon’s challenging encounters in Ayoade’s The Double allows him to realise his own identity. Gray in ‘Diptych’ finds acceptance of himself and his family through an intentional rediscovery. Though discoveries may be uncomfortable while we experience it, it is the ones the challenge us which allow individuals to grow as a person. 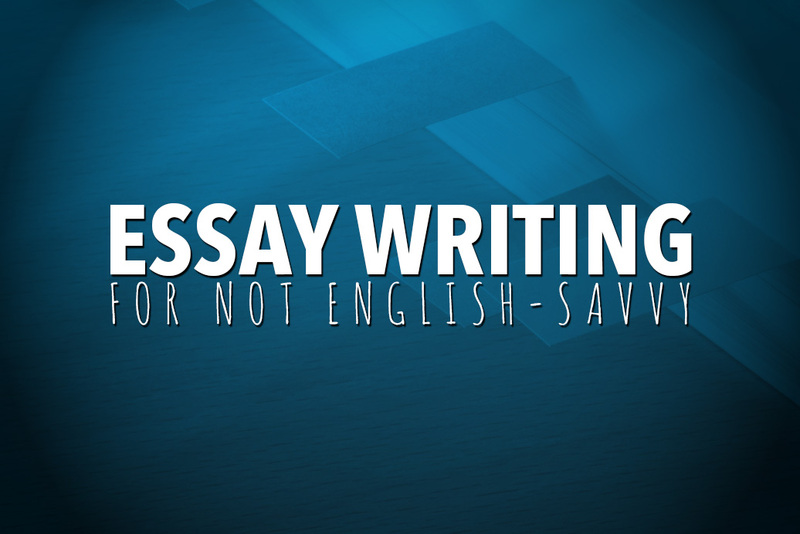 For the essay plan: similar to the introduction, memorise your text summaries, and develop the rest on spot. You have an essay plan, which can be adapted to almost any question. Now it’s the day of the exam. How do you adapt it? During reading time, get a solid idea of what the question is asking, and how you can potentially answer it. Higher level responses tend to have a “yes, but” argument, where they partially agree with the question but partially don’t. Does it seem like sitting the fence? Maybe, but it doesn’t matter. Come up with a thesis that fits your evidence/analysis. Remember, you’re getting marked on how well your argument is, not what your personal opinion is, so give yourself an easier time and side with whatever thesis fits your knowledge best. And don’t be afraid to be a little creative and flexible. Sometimes, the question can be kinda weird – e.g., 2017 Mod A asked about the values of “inferiority”, and I had only prepared for the values of morality and power. So I twisted my thesis a little, talking about “moral inferiority” and how it corresponds to “political superiority”. And boom, I used all my pre-prepared evidence in a way that still fits the question. Make a thesis that borrows wording from the question, so that the marker absolutely knows you’re keeping the question in mind. Continue to use/adapt wording from your thesis and the question in your topic and concluding sentences, as well as your conclusion. Jot down fragments of your thesis when reading time ends under each question, so you don’t forget your ideas. Then get into writing that essay which you’ve written five times already. The best part? With an essay plan you cut down on how much you’re remembering, so you can focus on practice papers and making sure you can adapt your essay plans. It’s not even that much of a chore, because you basically have 90% of your essay written already and all you need to do is write the other 10%, which comes directly from the question. Don’t forget, all of us here on ATAR Notes are here to give feedback, resources, and tips!